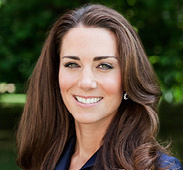 HRH The Duchess of Cambridge is the Royal Patron of Place2Be. The Duchess’ decision to support Place2Be is a reflection of her personal interest in and commitment to improving the mental health and emotional wellbeing of children in the UK. Place2Be provides emotional and therapeutic services in primary and secondary schools, building children’s resilience through talking, creative work and play. Place2Be works with 257 primary and secondary schools, reaching a school population of 105,000 children, helping them to cope with wide-ranging and often complex social issues including bullying, bereavement, domestic violence, family breakdown, neglect and trauma. The need for Place2Be’s services is acute and growing every day. The costs of not providing early mental health support are considerable: children suffer, costs to taxpayers rise and society loses the potential of another individual. Growing evidence indicates that promoting positive mental health also improves a range of positive school outcomes, including enhanced academic progress, better attendance and lower exclusion rates. The families of many of the children we work with manage on low incomes. In 2014, over half of children in Place2Be schools were receiving free school meals (FSM), compared to just over a quarter of children in primary schools in the local population. Children who have Place2Be’s one-to-one counselling show significant improvement in their emotional wellbeing and peer relationships, with fewer behavioural difficulties. Teachers and parents report that improvements in these areas have a positive impact on children’s classroom learning.